Archbishop Jerome Lloyd OSJV invites people of all Christian denominations to join him in reflecting upon the meaning of Advent and the mystery of the Incarnation and our own vocational lives during a five day retreat at England's Nazareth, Walsingham. 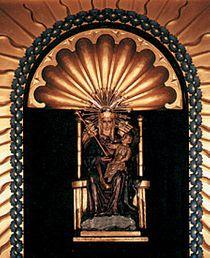 The Shrine of Our Lady at Walsingham was established in 1061 when, according to the text of the Pynson Ballad (c 1485), Richeldis de Faverches prayed that she might undertake some special work in honour of Our Lady. 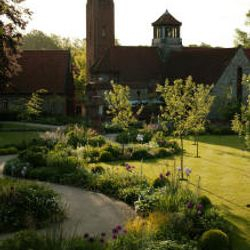 In answer to her prayer, the Virgin Mary led her in spirit to Nazareth, showed her the house where the Annunciation occurred, and asked her to build a replica in Walsingham to serve as a perpetual memorial of the Annunciation. 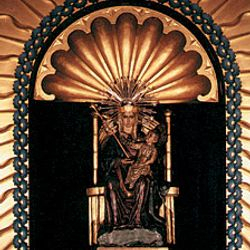 Pilgrims have made the journey to Walsingham from all over Britain - and the world - since the 11th century, not long after the Lady Richeldis had her vision of Our Lady in 1061. 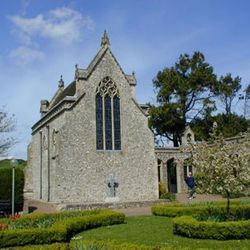 However, Henry VIII ordered the Shrine to be destroyed in 1538 as part of the English Reformation and it was not until 1896 when Charlotte Pearson Boyd purchased the 14th century Slipper Chapel, the last of the wayside chapels en-route to Walsingham, and restored it for Catholic use, that pilgrims returned. 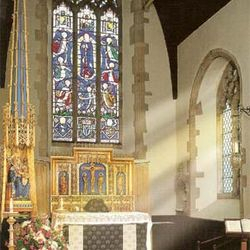 In 1922 the then Vicar of Walsingham decided to undertake the restoration of the Shrine in the village, reproducing the Holy House first in the Parish Church and then in a separate Shrine Church built near one of the rediscovered holy wells. The retreat will take place from Midday on Monday November 26th through to 3pm on Friday November 30th. 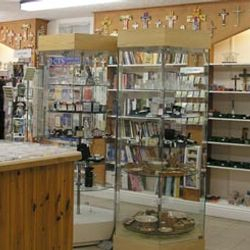 Retreatants will be expected to make their own arrangements to and from Walsingham but B&B accommodation via the Roman Catholic Shrine's Elmham House is included in the booking, lunch and evening meals are not included, but Walsingham has a number of options for eating places to suit all budgets. Each day will begin with an early morning offering of the Holy Mass according to the historic Gregorian (Tridentine) Rite, the perfect way to begin our daily reflections on the Incarnation in our own lives as we silently behold and receive the Incarnate Word made Flesh in the holy Eucharist. There will also be opportunity to attend a Daily Mass at the Anglican and Roman Catholic Shrines. After a communal celebration of Lauds (morning prayer) and breakfast, the day will continue with a short guided meditation and opportunity for silent prayer and reflection. 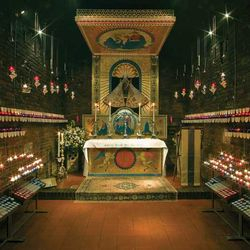 Before lunch a visit to one of the Walsingham Shrines for recitation of the Rosary, the Holy House or the Slipper Chapel and the opportunity to recall the mystery of the Incarnation during the Angelus. After lunch another short guided meditation before enjoying the peace and tranquillity of the Shrines and the village churches for personal prayer, reading and reflection. At 5pm we will gather again for a communal celebration of Vespers, again concluding with the Angelus before receiving a final spiritual conference before dispersing for our suppers. In addition there will be both Anglican and Roman Catholic chaplains available for personal spiritual direction/Confession. 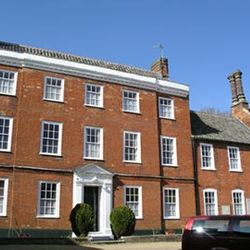 The price of £50 includes four nights bed and breakfast at Elham House but does not include lunch or supper. The retreat is offered freely but donations to defray the costs of printing for accompanying notes and service booklets would be gratefully appreciated. TO BOOK BEFORE SEPTEMBER 1st: you may complete the form below or telephone 01273 774889 leaving your name, telephone number and address on the answer-machine; Booking Forms for the accommodation will then be sent to you. To register a place on this retreat, please complete the form on the right of this page with all details asked for. 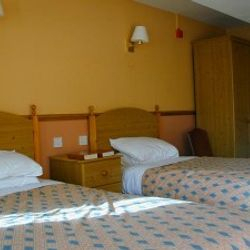 You will receive by post/email a Booking Form for the accommodation and details of whom and how to pay etc. Rail – the nearest rail stations are Norwich and King’s Lynn (c30 miles away); a shuttle service may be booked when reserving your place from Norwich Station to Walsingham. NB National Express has cancelled its service to Fakenham. You can get to Norwich or King’s Lynn which are both about 30 miles away. Online booking may be cheaper – check their website for details. 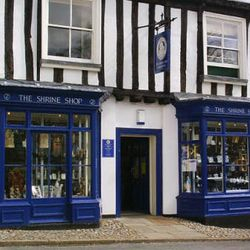 AA Route Planner: visit www.theaa.com/route-planner for the perfect directions to the Shrine. Thank you for your enquiry, we will contact you ASAP with a Booking Form for the accommodation.